A couple of weeks ago I shared one of my favorite recipes…My Hot Spinach & Artichoke Dip. In addition to dipping the night away enjoying it with chips & veggies, I also like to use some of the dip to make my Grilled Flatbread with Spinach & Artichoke Dip. I also throw on some grilled chicken and drizzle it with Sriracha (yummo!) and call it a meal! When it comes to a flatbread or a pizza, what I like best is…There are NO rules. You can top either with whatever you want! From simple to spectacular, somehow it all works. It’s so funny, growing up a pizza was a pizza. The wildest thing was maybe putting bacon on it. I still remember when I was in my teens and pizza’s started to have “weird” toppings and I was like…Nope, no way how how what are they thinking…barbecue sauce and chicken on a pizza??? . Boy was I ever wrong! I finally came around (and yes it took me a while) and now I don’t want the traditional! Funny how that goes! 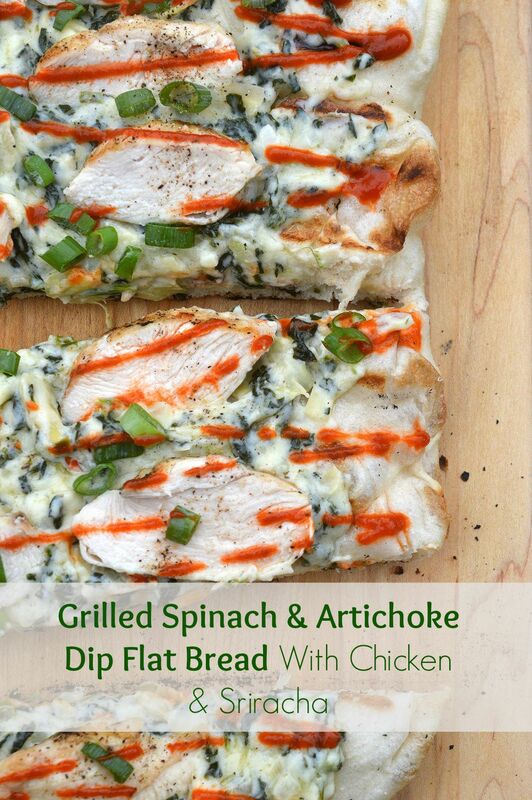 Check out this recipe for Grilled Flatbread with Spinach & Artichoke Dip over on Saber Grills Better Barbecue Blog where I am a recipe contributor. And enjoy!! I can’t even tell you how much I love this! It looks incredible! This looks and sounds soooo good! 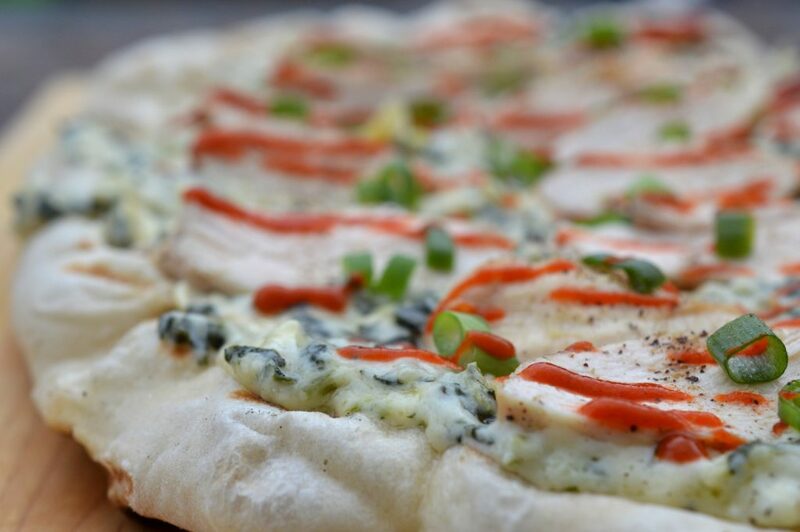 I love flatbread pizzas and this flavor combo is simply terrific! Adding dip to a flatbread is all sorts of brilliant. I like how you think!! That is the most perfect looking flatbread I’ve ever seen. And yeah for sriracha! Anything with Spinach & Artichoke dip it at the tip top of my favorites list!! Haha it took be forever to stray from traditional pizza but I’m kinda fond of the non traditional pizza now! !